I'm not sure if I'll get these, but I'm interested. I want to see what Storm is going to do with this property, but I have a few JoJo SAS and they are very nice figures. Lookin forwards to rei and hopefully mamiya. Storm Collectibles has some competition yet I don't think Medicos will be as impressive. While I'm sure Medicos can replicate the anime/manga accuracy I'm certain Storm can whip up better accessories dealing with bloody damage & signature Hokuto styled kills via their Mortal Kombat line. 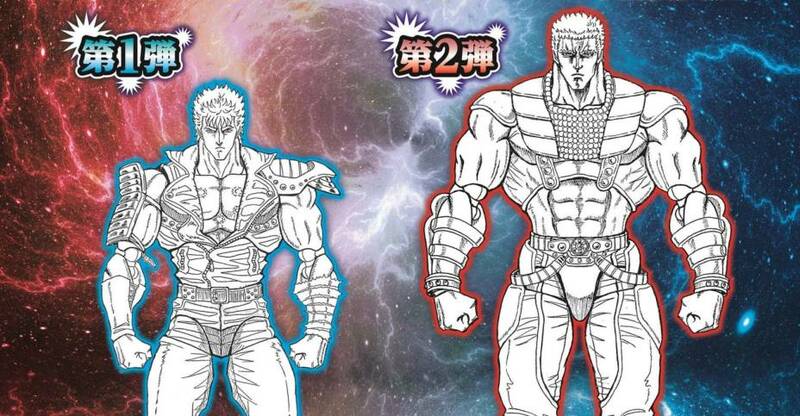 I can't really picture Medicos being able to offer that much content aside from some energy effects for the Hokuto Hyakuretsu Ken.That is assuming Storm will make their North Star figures in the 7 inch scale since their only reveal has been on the 1/6 or 1/4 scale. I like Storm SFV but their 1/6 scale Kenshiro poses 3 possible threats to collectors. 1) Rubber skin: it will surely harden and crack in time to come. 2) pleather pants: will surely peel too. 3) 1/6 scale products will never be cheap, especially for Storm releases. As for Medicos attempt at Hokuto ... I am willing to give it a try. They are not cheap either but their Jojo figures have been nothing short of amazing. And i have tried to estimate the size of kenshiro using the medicos base in the photo as a reference, the new figure should be close to 7 inch tall. 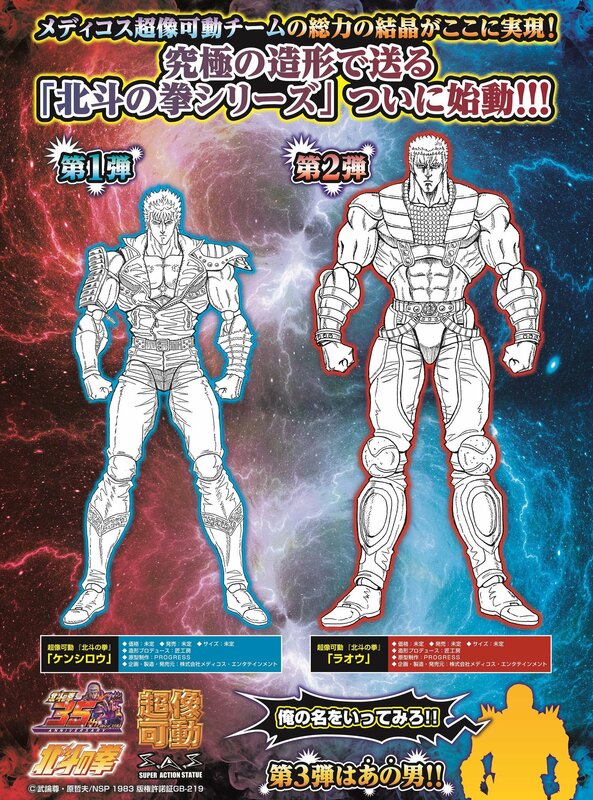 Frankly I'm amazed that any Hokuto no Ken figures are coming at all. There's like what, fifteen fans left worldwide (seems that way anyway)? I'm not complaining though. Bring 'em on.